There’s nothing quite like the thrill of the West Coast of America. As you drive south, you’ll have the glistening Pacific ocean on your right-hand side and some of the most stunning mountain ranges on your left. You’ll see some of the best the country has to offer in this 14-day drive adventure, from the glitz of Los Angeles to the Golden Gate Bridge in San Francisco, making this the drive of your life. Start your adventure in San Francisco. The ‘City by the Bay’ which will be your base for the next few days. As one of the best cities in the US, there are exciting sights and sounds in abundance. Some top sights include Union Square, Nob Hill, Fisherman’s Wharf, Chinatown and the Embarcadero Financial District. Ride on the world’s last manually operated cable car system and cycle over the Golden Gate Bridge. North of San Francisco is Napa Valley. Home to hundreds of vineyards making this the epitome of acclaimed wines and countryside scenery and a relaxing day out. Explore some of the beautiful vineyards that give California its reputation for some of the world’s best wine. Take a private tour or join a small group tour to explore a number of the vineyards and taste many of their fine wines. Looming in the distance of the city is Alcatraz. Experience what life was like for the convicts incarcerated there on a day trip via boat. San Francisco is well known for Harvey Milk who fought for LGBT rights so be sure to visit the Castro to explore the history but also its vibrant gay scene. This morning, head south to Monterey for a relaxing day. Enjoy lunch at the popular strip of bars and restaurants in the Old Fisherman’s Wharf in downtown Monterey. The historic waterfront district of Cannery Row is a lovely stroll and is also the inspiration for John Steinbeck’s novel of the same name. Visit the quaint fairytale like area of Carmel, located just off the Monterey peninsula. Blow away the cobwebs on the exhilarating drive along the 17-Mile drive from Pacific Grove to Pebble Beach. Take in the scenic backdrop of the Santa Ynez Mountains as you enter Santa Barbara, a city with Spanish colonial heritage reflected through the Mediterranean-style buildings with red-tile roofs. Venture further south where the landscape changes to oak-studded hills and the road passes Hearst Castle and ends in Morro Bay. The classic beach town of Ventura, located along the southernmost part of California’s Central Coast, is the perfect setting for a few relaxing drinks to round off your day. Spend today in the beautiful coastal city of Santa Monica, which exudes the ideal balance of coastal sophistication and seaside charm. At just 8.3 square miles, Santa Monica’s top attractions are very walkable. Highlights include Santa Monica beach and pier, the numerous shopping neighbourhoods and more than 75 museums and art galleries. As the epicentre of the world’s TV and movie industries, expect glitz and glamour in LA. Must dos include Sunset Strip and shopping in style on Rodeo Drive. 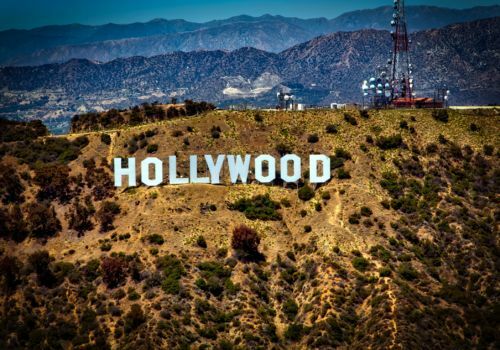 For the most iconic photos of your trip, be sure to pose with the Hollywood sign in the distance or next to your favourite celebrity name on the Walk of Fame. There’s also the city’s excellent museums including Los Angeles County Museum of Art whose collections are housed in a vast 20-acre complex of buildings. Referred to locally as ‘WeHo’, you will find the heart of the city’s gay scene in West Hollywood. Awash with rainbow flags, expect high octane nightlife and a vibrant atmosphere. Encompassing a number of highly acclaimed restaurants this is one of the most prominent gay scenes in the US and where you can be sure of a great time. The lively boardwalk of Venice Beach actually upstages the golden sands and glittering ocean. Bohemian street vendors and entertainers create a memorable scene of local characters and happenings. Catch some rays on the beach before you meander around the iconic boardwalk. See bodybuilders strut their stuff on Muscle Beach; the birthplace of the fitness boom in the twentieth century. Head south to San Diego, the elegant, sunny and scenic city that will be your base for the next few days. Balboa Park is the 1,200-acre urban cultural centre of the city which includes San Diego Zoo, the Aerospace Museum, Sculpture Court and Garden and the San Diego Museum of Art. Located within the city limits, the Torrey Pines State Reserve is one of the wildest stretches of land on the Southern California coast. Walk amongst the Torrey Pines trees and look out for the rare birds nesting in this unspoilt oceanfront reserve. Get the perfect amount of R&R on the beaches of La Jolla. This upmarket seaside area has pristine beaches and some jaw-dropping views. Meander around the shops, bars and restaurants of the lively historic Gaslamp Quarter. Just over the bridge from San Diego is the isthmus of Coronado, a small tree-lined beach haven. As your time on the west coast draws to a close you’ll have memories (and photos) aplenty to take home with you.